The Atlantic Range is an exciting new summer addition introduced by Galway Crystal, the sharp design represents the sharp waves found in the mystical Atlantic Ocean. 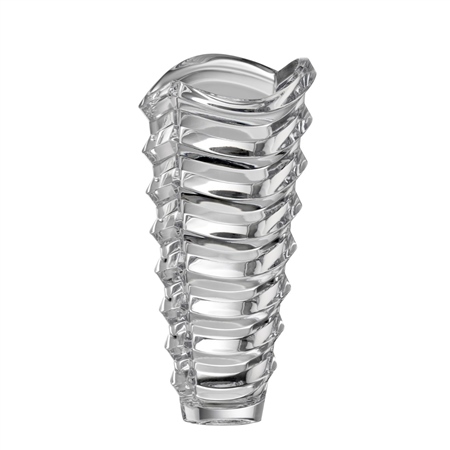 This 13" Vase is completely transparent but with its wave design, it captures light and reflections which will draw your eye to it no matter where is it in the room. Ideal for holding flowers, or to be used as a stand alone statement piece.